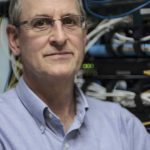 Bend Bulletin Bandwidth Article Highlights BendTel | BendTel Inc. Awareness of Gigabit bandwidth is growing in Bend, thanks in part to a recent article in The Bend Bulletin highlighting the availability of big bandwidth in our area, and its importance to the business community. The article, which quotes BendTel CEO Tom Barrett, can be read in full on The Bulletin’s website at this link.